Bob the Railway Dog - What type of breed? 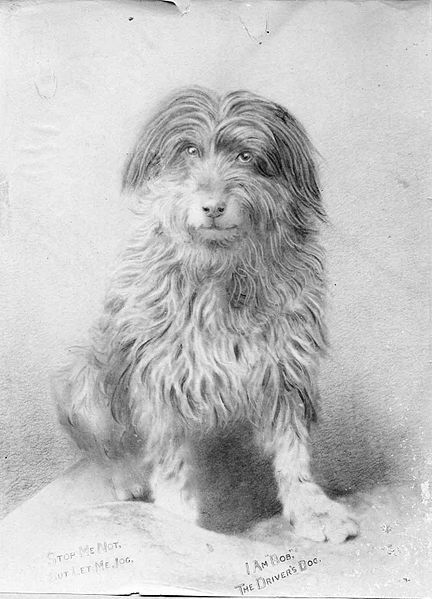 Various reports over the years suggest that whilst Bob was "well bred" he was most likely a German Coolie crossed with a Smithfield, Others claim he was a Bearded collie. One correspondent, Mr Henry Hollamby of Macclesfield, claimed in the Southern Argus that he was the breeder, and that "Bobs father was a German collie dog". He writes that he passed the dog to the owner of the Macclesfield Hotel, a Mr James Mott.